Take State Route 60 (Maple Ave.) South and get on the I-70 Ramp. Follow the ramp to 5th St. and through 2 traffic lights to The Law Administration Building (27 N. 5th St). Parking is available in the public parking lot at the corner of 5th and Main St. beside the courthouse. There is also two hour parking available on the street. Take I-70 East to Exit 154 (5th St.) Follow 5th St. through 2 (two) traffic lights and turn right at the third traffic light which is Main Street. The Common Pleas Court (Civil/Criminal/Probate Division) is located on the corner of Main Street and 4th Street. (401 Main St). Take I-70 to exit 155. Go straight through the traffic light at the bottom of the ramp. Take the first left (7th St.) and continue straight through the stop sign. Take a right at the first light (Market St.) and follow Market Street until you come to the four way stop at 4th Street. Turn left onto 4th Street. The Common Pleas Court (Civil/Criminal/Probate Division) is located on the corner of 4th Street and Main Street. (401 Main St). Take State Route 60 to Market St. Turn left on Market St. and follow Market Street until you come to the four way stop at 4th Street. Turn left onto 4th Street. The Common Pleas Court (Civil/Criminal/Probate Division) is located on the corner of 4th Street and Main Street. (401 Main St). Take State Route 60 (Maple Ave.) South and get on the I-70 Ramp. Follow the ramp to 5th. St. and exit onto 5th Street. Follow 5th Street and go through two traffic lights. At the third traffic light, turn right onto Main Street. 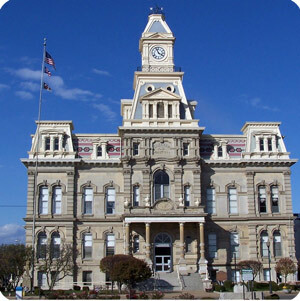 The Common Pleas Court (Civil/Criminal/Probate Division) is located on the corner of Main Street and 4th Street. (401 Main St). Take I-70 East to the OH-93 exit, EXIT 157, toward Zanesville/Adamsville. Turn right onto OH-93/Pleasant Grove Rd. Turn right onto East Pike/US-40 W/US-22 W/OH-93. 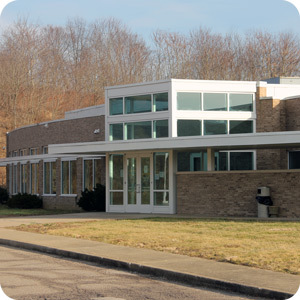 Drive approximately 1.07 miles and the Juvenile Court is on your left (1860 E. Pike). Take I-70 West to the OH-93 exit, EXIT 157, toward Zanesville/Adamsville. Turn left onto OH-93/Pleasant Grove Rd. Turn right onto East Pike/US-40 W/US-22 W/OH-93. 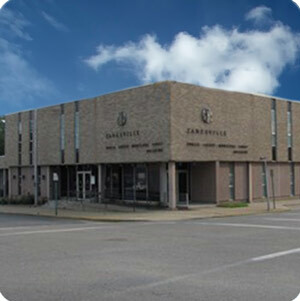 Drive approximately 1.07 miles and the Juvenile Court is on your left (1860 E. Pike). Take Main St/OH-60. Continue to follow OH-60. Turn left onto Greenwood Ave/OH-93. Continue to follow OH-93. Drive approximately 1.24 miles and the Juvenile Court is on your right (1860 E. Pike). Go southeast on Maple Ave/OH-60 toward I-70. Turn left onto Adair Ave/OH-60/OH-146. Turn left onto Greenwood Ave/OH-93. Continue to follow OH-93. Drive approximately 1.24 miles and the Juvenile Court is on your right (1860 E. Pike). Parking is available in the public parking lot right in front of the Juvenile Court. Take I-70 East to Exit 154 (5th St.) Follow 5th St. through 3 (three) traffic lights. At the four way stop at the corner of 5th Street and South Street turn right on South Street. The Municipal Court is on the southeast corner of South Street and 4th Street. (332 South Street). Take I-70 to exit 155. Turn left off the exit onto Underwood Street. Follow Underwood Street until Main Street. Turn left onto Main Street. Take Main Street to 4th Street. Turn left onto 4th Street. The Municipal Court is on the southeast corner of South Street and 4th Street. (332 South Street). Take State Route 60 to Main St. Turn left on Market St. and follow to 4th Street. Turn left on 4th Street. The Municipal Court is on the southeast corner of South Street and 4th Street. (332 South Street). Take State Route 60 (Maple Ave.) South and get on the I-70 Ramp. Follow 5th St. through 3 (three) traffic lights. At the four way stop at the corner of 5th Street and South Street turn right on South Street. The Municipal Court is on the southeast corner of South Street and 4th Street. (332 South Street).